Hard to believe, this is my 100th post. I thought it would be interesting to share what I do. 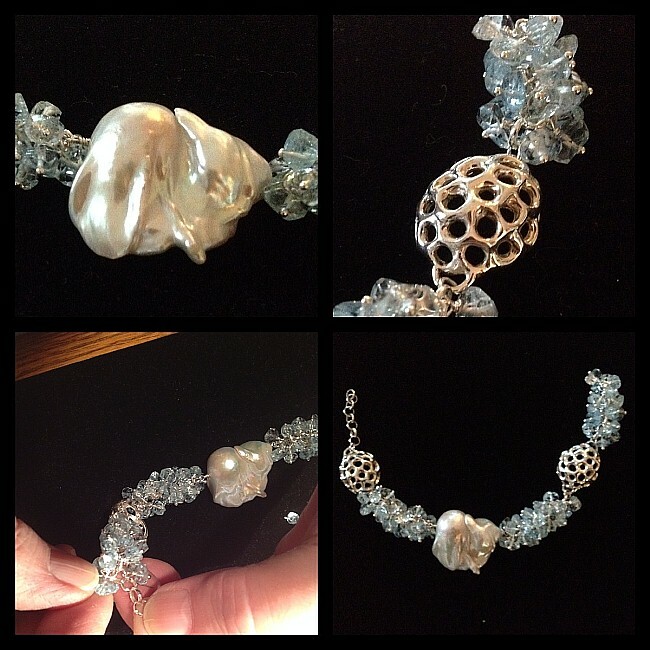 This is Part 1 for my Aquamarine with Pearl necklace. It’s still a work in progress. 3 cups of Aquamarine nuggets in various sizes and thickness. 1 Very large unusual Pearl. 1 2 1/2 piece of sterling silver wire. 1/3 cup of sterling silver headpins. 1/4 cup of thick sterling open jump rings. 8 or more pieces of sterling silver chain cut to 8 links each. 1 wire cutter of very good quaility. Take 1 piece of chain to start. Set up head pins with 4 different size and thickness aquamarines. Wire wrap 4 beads to one loop of chain. Continue until entire chain is full of Aqua’s. This will create a dimensional look as shown. Take the 2 1/2 piece of wire and thread through pearl. Make 2 wire wrap loops on ends. 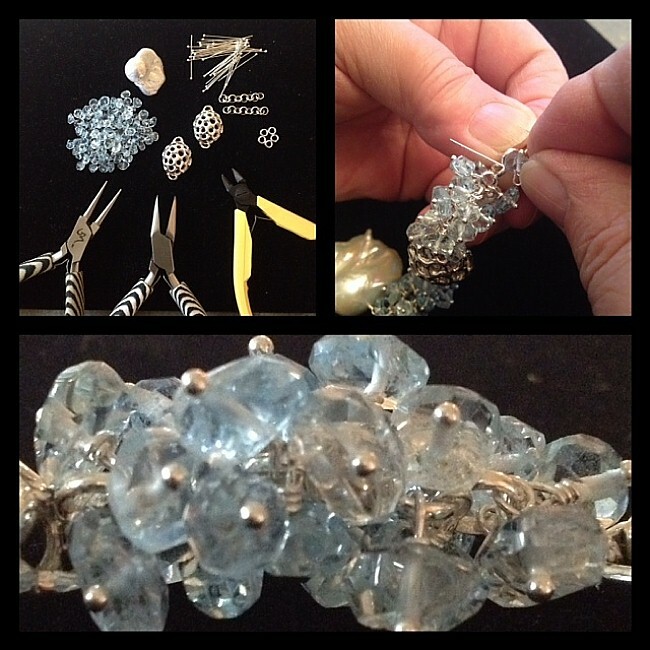 Using a jump rings attach the aquamarine chains to the pearl. Attach 1 sterling silver component to opposite side of aquamarine chain. Continue making more Aqua chains and more sterling components as shown.